Gary Northfield has been writing and drawing comics since 2002. He has regularly worked for esteemed magazines such as The Beano, The Phoenix, National Geographic Kids and The Dandy. He regularly visits schools and libraries, teaching kids of all ages and abilities how to draw comics and cartoon characters. We were lucky enough to be invited along to a workshop at Seven Stories recently where we were introduced to the hilarious world of Julius Zebra. We arrived at Seven Stories in Ouseburn, Newcastle taking advantage of the free parking, just before 11 o’clock – the scheduled time of the workshop. Read about our previous visits for the Comics exhibition and I Am am Bear workshops. On arrival we headed straight up to The Attic on the top floor where the event was taking place and a member of staff assured us we were in for a treat. They weren’t wrong. The session started with master cartoonist Gary Northfield started off by telling us about the comics and cartoons that he had read as a child. How he’d saved his pocket money to buy comics such as Mickey Mouse, Spider-Man, The Beano, The Avengers, Asterix and Snoopy, and how these had inspired his career. He also explained how after leaving college his cartoons were too detailed and that it was after he had simplified his style his career as a cartoonist took off. 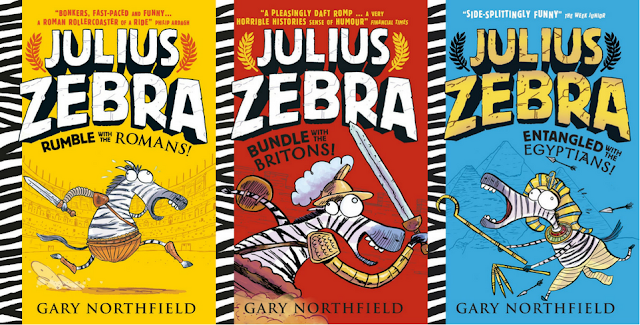 First with a job with Horrible Histories Magazine and then The Beano – he wrote Derek the Sheep, and then The Phoenix and National Geographic Kids Magazine before embarking on writing and drawing books, including The Terrible Tales of The Teenytinysaurs in 2012, Gary’s Garden in 2014, and most recently three Julius Zebra books: Rumble With The Romans (2015), Bundle With The Britons (2016) and the newly released Entangled With The Egyptians. He also told us that a fourth volume all about the Greeks should be available next year. The books are available in the Seven Stories bookshop, other bookshops and online. 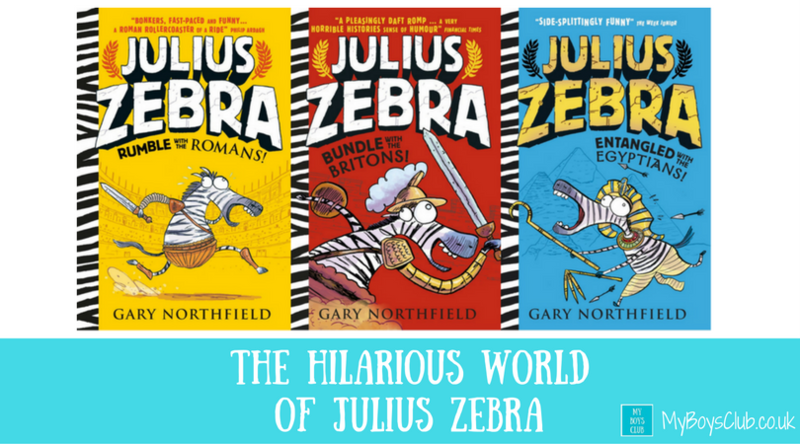 Aimed at children 8 and over, the Julius Zebra series are illustrated chapter books. Rumble with the Romans is set in Roman times. From a smelly watering hole deep in the heart of the Serengeti to the ferocious clamour of the Colosseum, join Julius Zebra and his motley menagerie of friends as they gear up to be ... gladiators! Only if they win the love of the Roman crowds will they win back their freedom. But do Julius and his pals have what it takes to succeed in a world where only the meanest and toughest survive? Madagascar meets Gladiator in this exciting, action-packed and hysterically funny story brimming with entertaining Roman facts. Bundle with the Britons is brilliantly fast-paced, funny and utterly bonkers adventure for Julius Zebra and his hapless pals to go on. Emperor Hadrian has one last favour to ask of the gladiator animals before he will grant them their greatest wish – freedom. They must go to the far-off and strange land of Britain to win over the crowds of his empire. But this will be no happy-go-lucky holiday... Instead of buckets and spades, our stripy hero and his friends will need all their powers and wits about them if they're going to survive their most wild and rebellious opponents yet. Cram-packed with jokes and bursting with action, this is a hilarious romp and mad-cap introduction to Roman Britain. How to be a cartoonist. 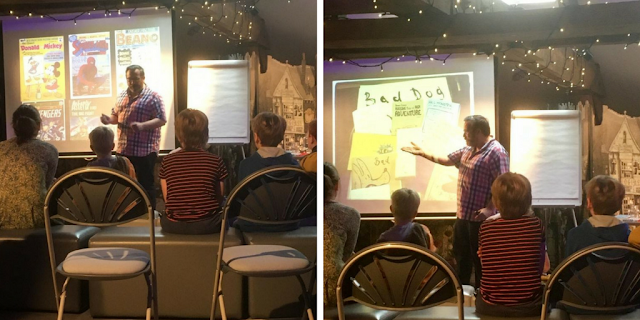 After a reading from the new book, by the author himself, where the cartoons appeared on the big screen for all to see, we then learnt from Gary how to draw with loads of cool tips on how to be a cartoonist. The interactive sessions asked the audience lots of questions. I was amazed by my own child who actually knew when the Coliseum in Rome was built – I have school and Horrible Histories to thank for that. Gary also stressed the importance of research, gathering information on your subject before you start to draw. Great tips. Together we would learn to how to draw a new Pharaoh animal – the audience voted for a baboon. As Gary said cartoonists also need to be able to act he invited audience members to pose as the character we would draw. The paper and pens were handed out and we followed Gary’s lead. It was all about using simple shapes, not about the detail. First, drawing a head with a circle, then the back with legs apart as they were in the pose and arms in the air. Then we added the face to look like a baboon using the reference picture, before we added in detail from pictures of pharaohs, and some speech bubbles – top tip – write the text first then put the bubble around it. We then collectively named him by Gary asking for suggestions. Some said Bob, another Banana but Jeff got the biggest laugh. And there he was Jeff 7th for Seven Stories. Finally, it was down to the bookshop for a book signing with Gary. This workshop of approximately one hour was entertaining, funny, interesting and informative. It inspired both of my boys not only to draw but also to read, my 10-year-old choosing to spend his pocket money on some new books, which he promptly started reading as soon we as got home. Once again, a great morning at Seven Stories. Gary Northfield does sessions across the country, I thoroughly recommend taking your children to see him, it was great and the workshop only cost £3. 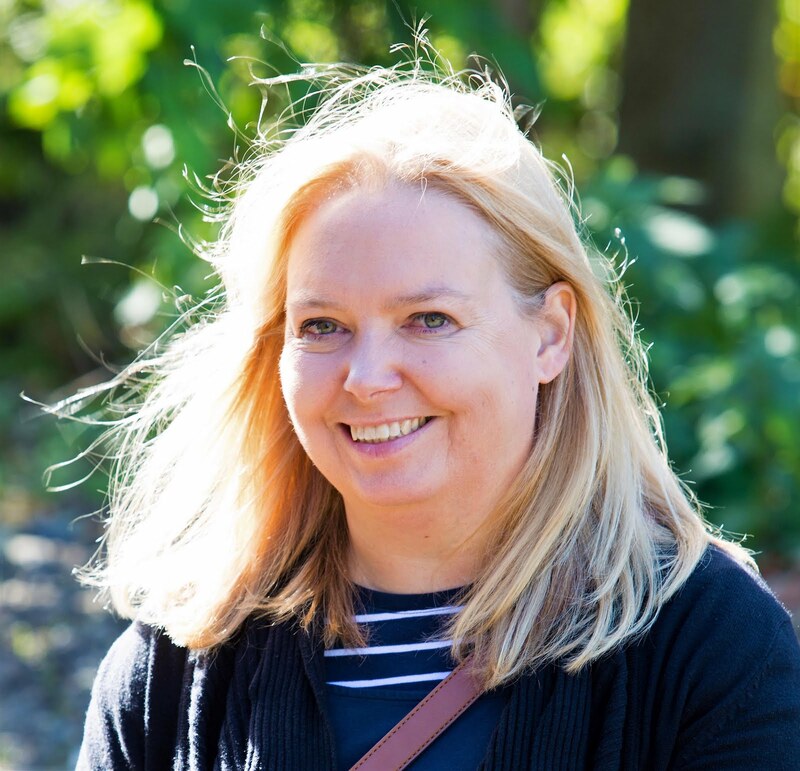 For more about what you can do at Seven Stories check out their website. 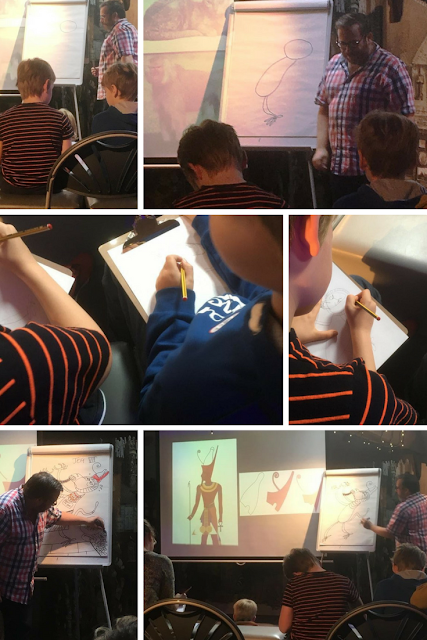 Disclosure: We were invited to preview the cartoon day workshop and received complimentary tickets from Seven Stories for the boys. But we enjoyed it so much we decided to review it as well. I'm totally buying my cousin these he'd love them!! Interesting. I hadn't heard of these books before, definitely worth investigating more when my eldest gets a bit older. My nephew would adore these - Christmas present sorted!